The Billy Graham Evangelistic Association has just completed a three-day evangelism event at Falkirk Stadium, in partnership with over 200 churches across central Scotland. More than 1,000 people indicated a decision for Christ, with hundreds doing so during the event itself and hundreds more online and through discipleship courses. 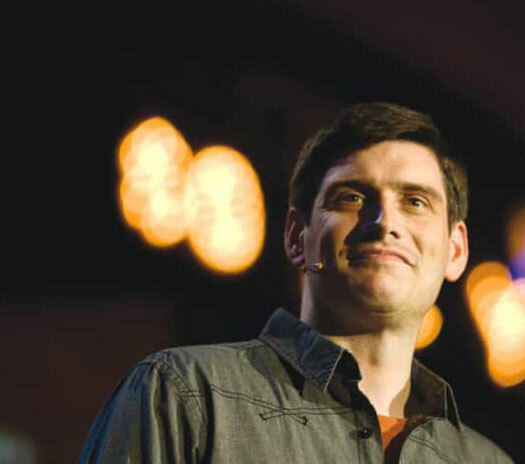 The Central Scotland Celebration of Hope saw churches invite Will Graham, grandson of the late Rev Billy Graham, to come to Scotland and share the Gospel. Will had held a similar event in Peterhead just a year ago and the churches of Central Scotland were inspired. Will Graham was joined by American Christian musician Aaron Shust who lead worship each night, as well as being joined by upcoming group The Afters and the multi-award-winning Newsboys. The event also featured a ‘Kidzfest’ event with British performed Duggie Dug-Dug. “…it’s just been humbling to see what God has done… I believe that what we’ve sown here we will reap in the days to come.” Rollo continued “There’s a legacy for the generation coming behind. Many many young people have come to faith in the Lord Jesus Christ”. Whilst few other evangelists hold such large scale events, stadium evangelism has continued to see many come to Christ due to the simple focus on preaching the Gospel. The Falkirk event is just the first of such events planned by the Billy Graham Evangelistic Association in the UK. Franklin Graham, president of the organisation and son of the late Billy Graham, will be visiting Blackpool in September 2018. Searle continued; “People are at a loss as to where to turn in life. We use these events to tell them that there is a real hope and his name is Jesus. But we are also doing these events with urgency. As Will Graham reminded us this weekend when he preached, People are going to Hell and we want to point them to Jesus, with urgency. None of us know how much time we have”.